Manage your time for projects and tasks, and see total hours worked for the day and week. 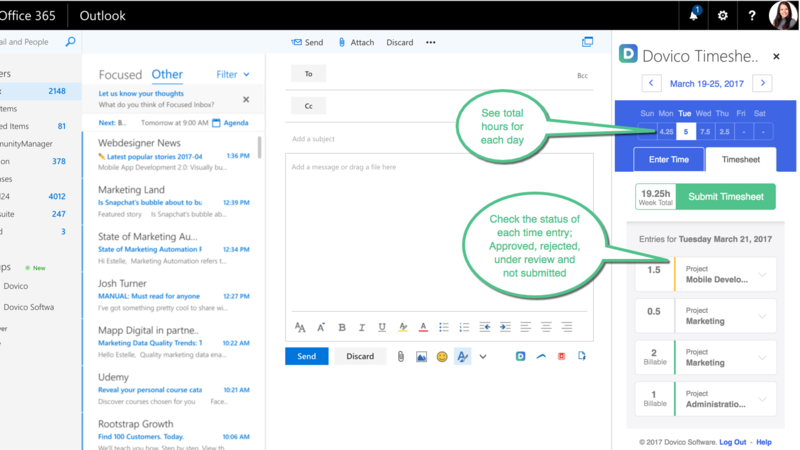 Track your timesheet for projects and tasks in real-time with this Office 365 Add-in for Outlook. You can enter, edit and submit your time for approval and also check the status of each time entry (approved, rejected, under review and not submitted). 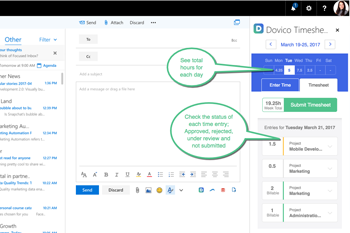 Your time entries can be flagged as billable or nonbillable and will be logged in real-time with Dovico Timesheet account. This is a time saver that will help you get back to what is important, your meaningful work. Requires a Dovico Timesheet subscription for every user. If you’re using Outlook 2013 or later, click the File menu and then Manage Integrations/Add-ins. 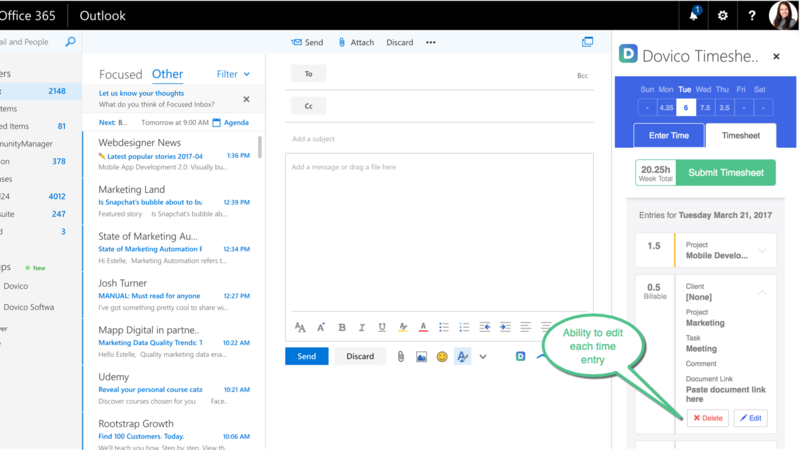 If you’re using Outlook on the web, click the gear icon to the top right next to your name and then select Manage Integrations. 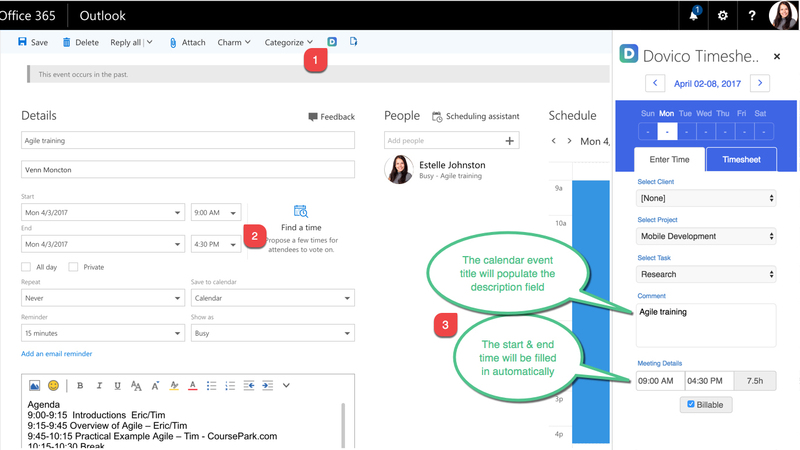 *Tip: Check these visuals to see whether your Outlook supports this add-in. 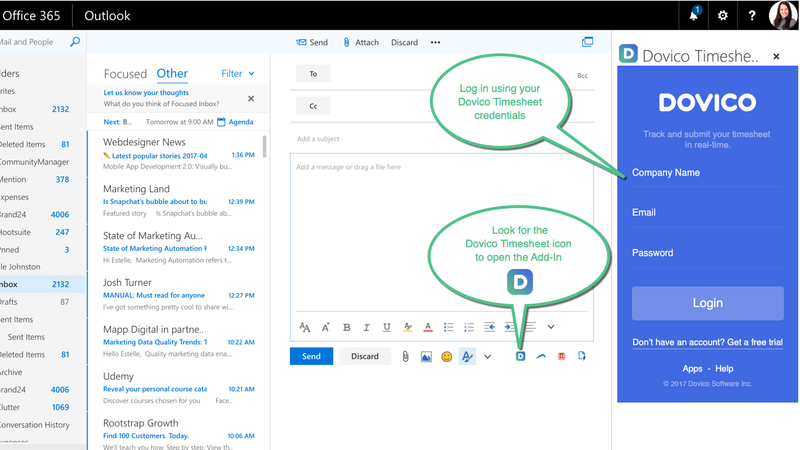 Select the Dovico Timesheet for Outlook Add-in, followed by the Add button to begin installation. 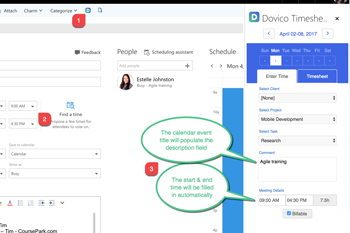 Once installed, look for the Dovico Timesheet icon. 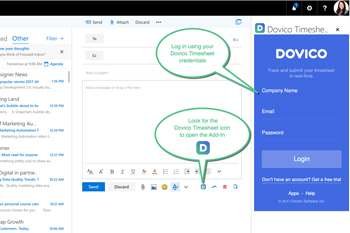 Click the icon to open the Add-in and login using your Dovico Timesheet credentials. 04/10/2017 - Complete app redesign! 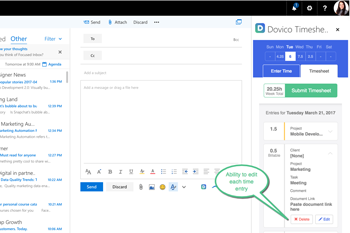 Track, edit and submit your time from Outlook. 06/07/2016 - Added ‘Add time entry’ menu option to the right click menu on calendar appointments. 10/30/2014 - Updated to fix issue where Finished/Hidden projects were still being shown to some users. 09/30/2014 - Updated to adhere to Dovico Timesheet billable defaults. Centric Consulting provides full-service management consulting services. We help clients tackle their toughest business challenges with innovative, balanced and measurable solutions.